Injuries to Samuel Umtiti and Thomas Vermaelen have put Barcelona’s technical team on alert. Ernesto Valverde has just two centre-backs at his disposal, Pique and Lenglet. The club are looking to sign a player in January. The priority is Matthijs De Ligt of Ajax but the list of defenders they are tracking is long. 12/08/92, 1.88m, right footed, Dutch (10 caps), Ajax (14 games played this season, 2 goals, 1 assist), contract until 30/06/21, Transfermarkt valuation 50m euros. Preferred by Barca for his youth, technical quality, and potential. Typical product of the Dutch school that inspired Barca’s play. But almost impossible for Ajax to sell him in the winter window. 20/06/91, 1.87m, right-footed, Senegalese (30, 1G), Napoli (10), contract until 30/06/23. 60m euros. One of the best Serie A defenders who can play the ball well, has good anticipation, impressive one on one, dominant in the air. Not hidden his desire to play in La Liga. But De Laurentiis is unwilling to let him go. 02/03/89, 1.86m, right-footed, Belgian (86/3), Tottenham (9). Contract 30/06/2019. 40m euros. Given his contract expires in 2019 Tottenham could accept his departure in the winter window with an escape clause of 28 million euros. Extensive international experience, knows La Liga having played for Atletico. He is nearly 30 though and so would be a short term measure. 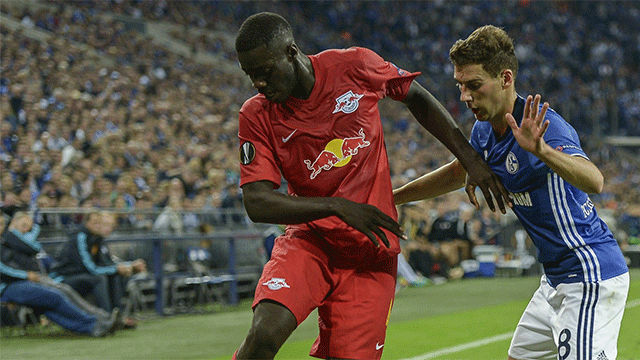 27/10/98, 1.85m, right footed, France U21 player, RB Leipzig (8). Contract until 30/06/21. 30m euros. Despite his youth he’s become a regular performer in the German team’s defence and stands out for his power and agility. However his clause is 100 euros, very high. 04/05/96, 1.86m, left footed, France U21, Borussia Dortmund (9/1). Contract until 30/06/23. 25m euros. Along with Upamecano, they form the central defence for France’s U21 side. Dortmund signed him last summer by paying 28 million to Mainz 05 for his services. Good positioning, ball management and defensive capacity. 22/02/84, 1.85m, right footed, Serbia (105/13), Zenit (16/1 assist). Contract until June 30/06/19. 3m euros. A cheaper and older version of the Alderweireld deal. A fixture in the Zenit defence. He would be ready to perform now, but not for very long. 31/12/96, 1.78m, both footed, Togo (34), Getafe (8), contract until 30/06/23. 15m euros. He knows La Liga. His versatility and technical quality are good, although he doesn’t have too much capacity to improve. 35m euro release clause. "De Ligt and De Jong should use Memphis' United move as example"